Andy Davidson is Head of Business Relations at Northern Powerhouse Partnership (NPP). 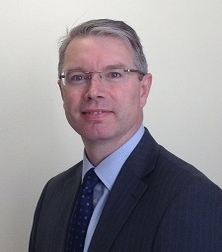 He has over 30 years experience in the Financial Services industry having previously lead Yorkshire Bank’s strategy across the Leeds City Region and is currently seconded to the partnership from Yorkshire Bank one of its corporate board members. Andy leads NPP’s engagement with Business across the Northern Powerhouse, building collaboration and support for the Northern Industrial Strategy and ‘Driving the North’s Ambition’. The Partnership believes that by building the right framework, by 2050 the northern economy could be worth £100bn more and have 850,000 more jobs than it otherwise would have had.